Afterpay Makeup at glamaCo Australia - If you're looking to purchase makeup via Afterpay in Australia, look no further than glamaCo. 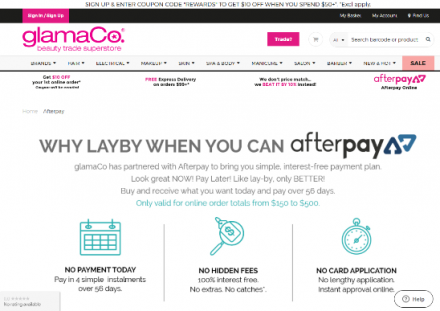 If you're looking to purchase makeup via Afterpay in Australia, look no further than glamaCo. Huge range of makeup, makeup brushes, makeup cases and more available to purchase online or in store at your local glamaCo. Shop online now. Description: Shop our range of makeup, cosmetics, hair products and more with Afterpay available online. Shop online now.